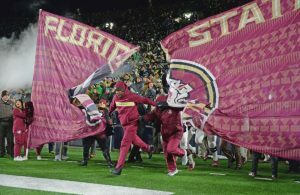 It’s one of the greatest traditions in college football and most Florida State fans would contend the best. And it made its debut on this day 40 years ago. 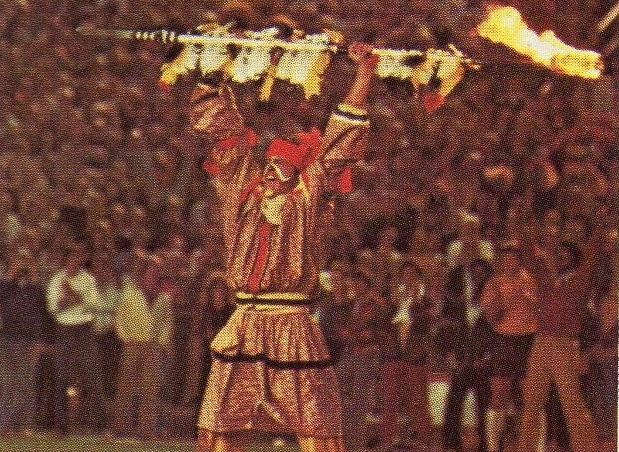 Prior to Florida State’s 1978 home opener against Oklahoma State, Osceola and Renegade made their way across the field at Doak Campbell Stadium for the first time. The tradition has been drawing cheers from FSU fans young and old alike for 40 years now as it began on Sept. 16, 1978. According to an archived story from the Tallahassee Democrat, it was third-year head coach Bobby Bowden who sought ideas for a team mascot. Bowden recalled a student contest while he was head coach at West Virginia, per the story, and FSU had Sammy Seminole in the past, but the man who would become an FSU legend was looking for something a little different. Bill Durham, a supporter of the notion, played a vital role in putting it all together. Local veterinarian Jerry DeLoney ultimately allowed use of an Appaloosa named Rio’s Roozie, but on Saturdays in the fall, he assumed the name “Renegade”. DeLoney would later donate the horse to the university. The Seminole Tribe of Florida gave its blessing, confirming that horses were consistent with the Seminole tradition. Jim Kidder, a junior criminology major, was selected from about 180 students to be the first Osceola. According to archives, he was originally referred to as “Savage Sam”. 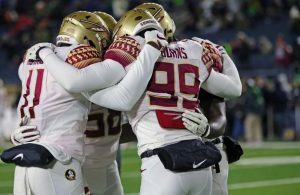 As for the game itself, the Seminoles came away victorious, 38-20. 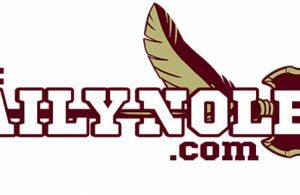 FSU quarterback Jimmy Jordan passed for 231 yards and three touchdowns in the win with two of those tosses going to Homes Johnson. Mike Kincaid finished with 10 tackles and an interception for the Florida State defense. While the contest concluded with a happy ending, it was the start of something new that was most significant that mid-September day in 1978. Aboard Renegade, Osceola’s planting of the flaming spear still manages to bring pregame goosebumps to even the most seasoned of FSU fans. That storied tradition began on this day 40 years ago.